Choosing a car stereo for your car in the aftermarket need not be a complex process. All you have to do is to have a good understanding of what constitutes a decent car stereo. 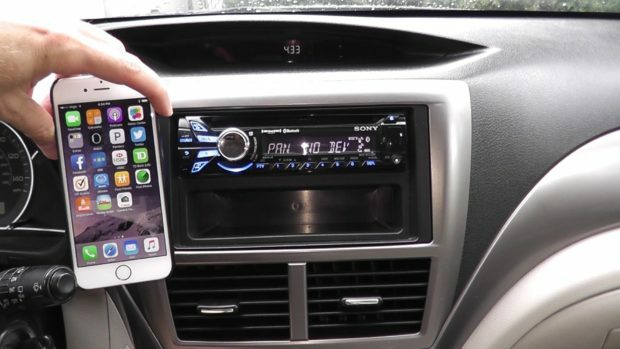 To help you out with this, we have compiled 5 tips to choosing a car stereo in the aftermarket. Technology is constantly changing, and with each change it gets better. That’s why when shopping for a car stereo, you need to find the most recent ones. This gives you access to the best features that allow you to enjoy your music and other content while in your car. For instance, if you want to buy a stereo right now, going for those made in 2017, would be a good idea. A simple google search on the best double bin stereos of last year would be of great help on this front. We are in 2018, and music is now majorly available through streaming services like Spotify. That’s why for you to enjoy maximum entertainment, the aftermarket stereo you purchase should be integrated with platforms such as Google and Apple store. Without these, you will quickly realize that your aftermarket car stereo is pretty useless in 2018. Your content access will be very limited, defeating the whole essence of such a stereo in the first place. A stereo whose strength is limited to one region of the country is pretty inconveniencing and irritating. It forces you to stick to other forms of content sources that may not be as pleasing as radio. To ensure that you enjoy radio no matter where you drive to in the country, find an aftermarket stereo that is expandable. Most of the aftermarket stereos available today are expandable. However, it’s more worthwhile to do some research and ensure that the stereo you are going for actually meets this parameter. Otherwise, it could end up as a worthless purchase and a waste of your hard-earned money. Most audio stereos now come with features such as a CD slot as a standard feature. However, these are pretty much outdated features, and might not be of much use today. To make the most of a stereo, ensure that it has advanced audio-visual (AV) features such as USB slots and HDMI capabilities. This way, you will in a position to make the most of your stereo by connecting it to a wider array of content sources. Like in every other market, all players in the car stereo market are not the same. That’s why you need to do your research on the best ones. This is quite easy, though. Just check out different online reviews, and avoid any brand that has consistent negative reviews from buyers. Don’t experiment with such brands.